Mike Lofgren is an American former Republican aide, who retired in May 2011 after 28 years as a staff member in the U.S. Congress. Lofgren, who has a B.A. and M.A. in history from the University of Akron, was awarded a Fulbright Scholarship to study European history at the University of Bern and University of Basel in Switzerland and completed the strategy and policy curriculum at the Naval War College. He began his legislative branch career as military legislative assistant to Republican former House representative John Kasich in 1983. In 1994 he was a professional staff member of the House Armed Services Committeeâ€™s Readiness Subcommittee. From 1995 to 2004, he was budget analyst for national security on the majority staff of the House Budget Committee. From 2005 until his 2011 retirement, Lofgren was the chief analyst for military spending on the Senate Budget Committee. 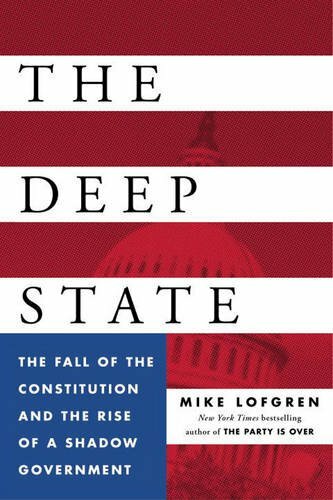 Since his retirement, Lofgren has written about politics, budgets, and national security issues. Mike Lofgren is back with a book perfectly pitched for the frenzied circus of the primaries. His argument this time is that for all of the backstabbing and money grubbing of the campaign season, the politicians we elect have as little ability to shift policy as Communist party apparatchiks. Welcome to Mike Lofgrenâ€™s Washington, D.C.â€”a This Town, where the political theater that is endlessly tweeted and blogged about has nothing to do with actual decision making. The real work gets done behind the scenes by invisible bureaucrats working for the vast web of agencies that actually dictate our foreign policy, defense posture, and security decisions. Have you ever wondered why Obamaâ€™s policies look so much like Bushâ€™s? Seek no further: Hillary v. Jeb is just window dressing. Actual power lies in the Deep State, Washingtonâ€™s shadowy power elite, in the pockets of corporate interests and dependent on the moguls of Silicon Valley, whose data-collecting systems enable the U.S. government to spy on our every move, swipe, and click. 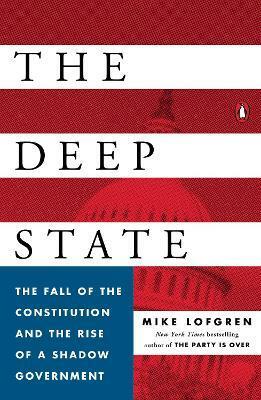 Drawing on insider knowledge gleaned in his three decades on the Hill, Lofgren offers a provocative wake-up call to Americans and urges them to fight to reinstate the basic premise of the Constitution.